There's much to be said about the simplicity of tiny living. The limited amount of space, the quirkiness and the absence of clutter can make it quite appealing – But, making the permanent jump from a standard-size apartment or house can be daunting. So what if there was a way to test it out first, or rather, a way to escape to a life of tiny living for just a short while? 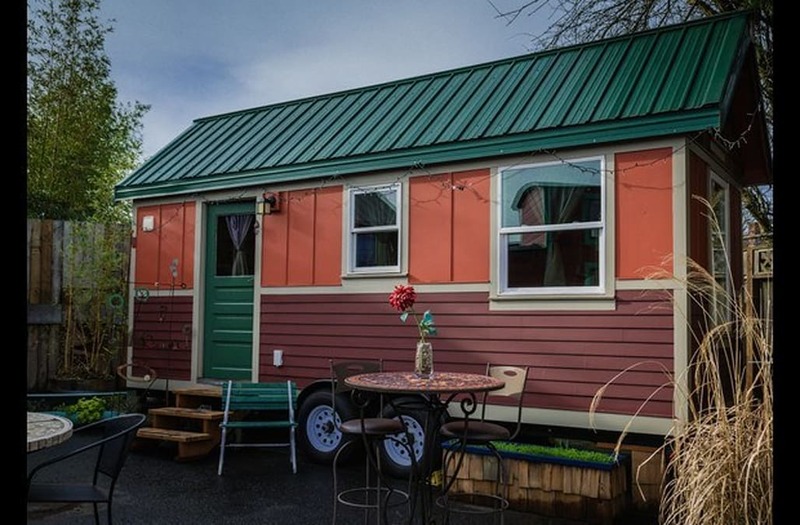 Enter Caravan, a tiny house hotel located in Portland, Oregon. Caravan consists of six locally-built tiny houses, ranging in size from 120 to 170 square feet. Each house comes with quirky local art, organic goodies and fair trade toiletries. Each tiny house forms a circle with the others, situated around a communal recreational area. Enjoy a night around the fire pit or a friendly game of ping-pong with the other guests or guests of your own. Prices begin at $145 per night and go up to $175 per night.